Want to help your kids brush up on their reading skills? Sign them up today for our PAWS to Read program. Our reading program helps children increase their reading skills and self-confidence by reading aloud to our adoptable dogs and cats. It also benefits our adoptable animals by allowing them valuable time socializing with people. This program is open year-round. Books and blankets are available for use at the shelter, or feel free to bring your own. Kids under the age of 16 must be accompanied by a parent/legal guardian. 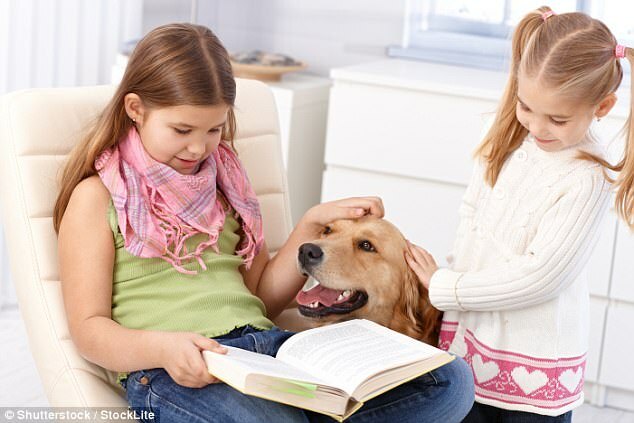 Paws to Read is offered Monday–Friday 10 a.m.-5:30 p.m., Saturday 10 a.m.-4:30 p.m., andSunday 12-4:30 p.m.
For more information, please contact our Volunteer Coordinator at 706-987-8373 or volunteer@pawshumane.org. Download the Paws to Read Program Registration, fill out, and turn in to our front desk staff at PAWS Humane.